We are a friendly team of dedicated vets, nurses and receptionists with a wealth of experience. Your pet’s welfare is our first concern and we will treat them as we would treat our own, with care and understanding. 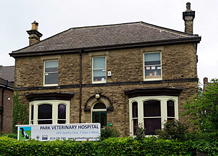 We are proud to be the only Veterinary Hospital in Sheffield providing a unique level of service to our patients across the city and in the Hope Valley. 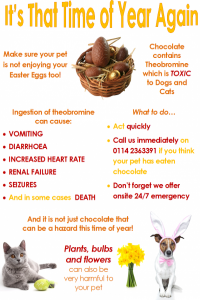 We provide care for your pet 24 hours a day, 7 days per week. This means that we provide our own on-site out of hours cover using our own qualified and experienced vets and nurses. Click here to order repeat prescriptions or food for collection at the practice.